Library Loot is a weekly event co-hosted by Marg @ The Adventures of an Intrepid Readerand Claire @ The Captive Reader that encourages bloggers to share the books they have checked out from the library. Hard to believe it's almost a month since my last loot post but what with accidents, Easter and school holidays family life has taken top priority over reading and blogging. Last week I made a quick dash to the library to pick up two, yesterday I finally had some time to browse and choose. Often presented as a self-effacing virgin or sacrificial saint, Dorothy was in fact a talented writer, as well as her brother William's inspiration and most valued reader. 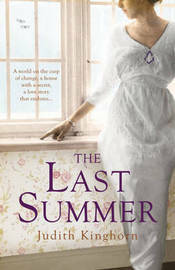 The Last Summer by Judith Kinghorn......1914, the beginning of a blissful, golden summer - and the end of an era. I've already started this one - the question now is 'am I going to finish it?' I chose it for Royal Reviews Downton Abbey week but I fear it's becoming too much of a historical romance for me.......and the heroine is called Clarissa which is not my favourite name right now!! 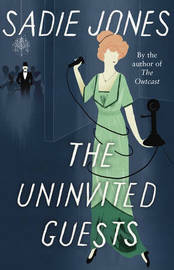 The Uninvited Guests by Sadie Jones........'a sinister drama of dark surprises - a comedy of manners and disturbing commentary on class'. I'm intrigued by this book which sounds very different from her others and as it also has an Edwardian setting could be an alternative to The Last Summer. 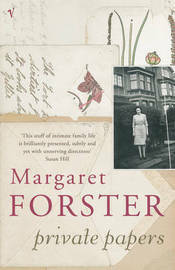 Private Papers by Margaret Forster......A telling portrait of middle-class Britain from the '30s to the '80s, the author takes a scalpel to the family body. I loved 'have the men had enough' which I read earlier this year and hope this one will be as good. 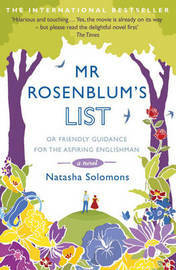 Mr Rosenblum's List by Natasha Solomons......A moving tale of post-war love, friendship, and the importance of belonging. I'm probably the last man standing who hasn't already read this so time to cross it off the list. 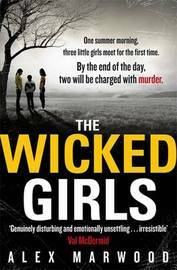 The Wicked Girls by Alex Marwood.....'One summer morning, three little girls meet for the first time. By the end of the day, two of them will be charged with murder.' A psychological thriller. Look forward to seeing what you have in your loot! Last Summer looks good. Enjoy your loot. Thanks Linda - so far not all that impressed with The Last Summer.